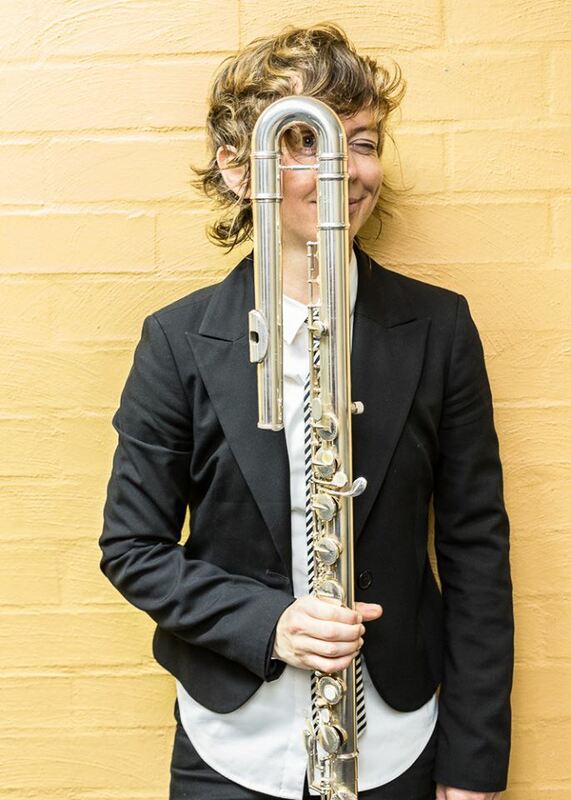 Come to the Flute Forum Recital with Claire Chase Sunday, April 7 at 3:30pm in Old Cabell Hall. A deeply committed educator, Chase was named Professor of the Practice in the Department of Music at Harvard University starting in 2017. She has overseen the development and implementation of education programs such as The Listening Room (for K-6 school children with no musical background), EntICE (for middle-school and high-school youth orchestras in underserved areas of New York City, Chicago, and Los Angeles) and a wide variety of collegiate and pre-professional training programs. She is also the co-artistic director, with her longtime collaborator Steven Schick, of the Summer Music Program at The Banff Centre for Arts and Creativity in Canada. In 2014, Chase was named an inaugural Fellow at Project&: Cultural Production with Social Impact. With Project&, composer Marcos Balter, and director Doug Fitch, Chase has created Pan, a piece for flute, electronics and mass community participation in the form of a large ensemble of non-professional or trained players/collaborators, which premieres in 2018 and will be performed with communities all over the world. Chase grew up in Leucadia, CA with the childhood dream of becoming a professional baseball player before she discovered the flute. She received her B.M. from the Oberlin College Conservatory of Music in the studio of Michel Debost. She lives in Brooklyn.